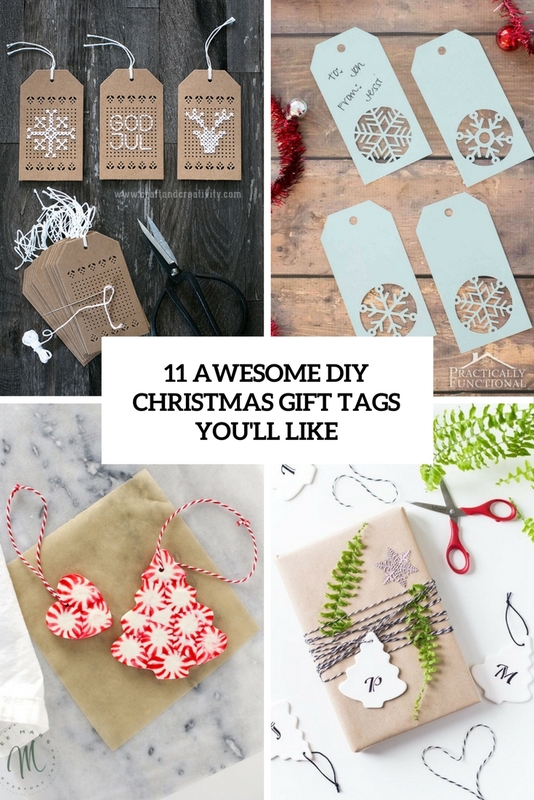 We continue Christmas craft series, and today we’ll have a look at some cute and simple gift tags you can easily DIY for the winter holidays. We’ve already had a look at toppers, they are usually a bit more difficult to make, and now let’s stick to a simpler idea – tags. These DIYs aren’t printables, they will take little time to make and your tag will look original. Colored paper or old Christmas cards will be a nice base for this cute Christmas tag. 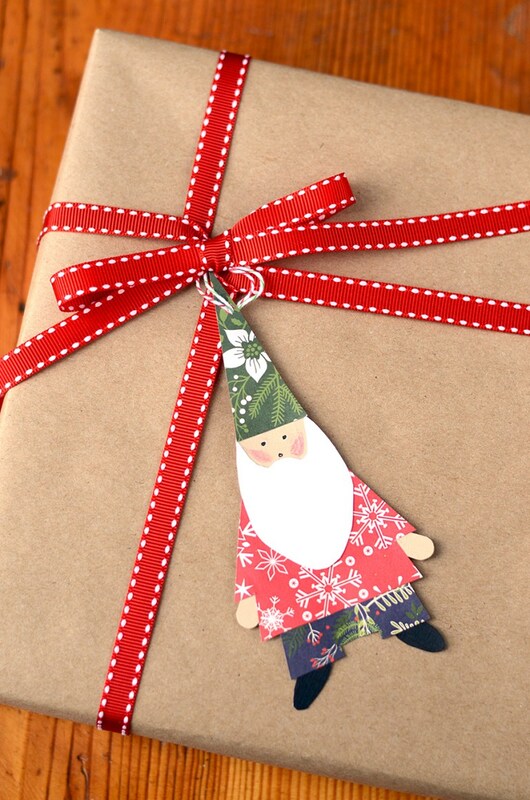 The piece is made in the shape of a gnome, it may be used as an ornament, a gift tag or used for garlands. It’s a super easy project to decorate your house and you can invite your kids to make these tags themselves. Peppermints are great for any Christmas, these candies are symbolic for the winter holidays, and you can make fun ornaments or gift tags of them. 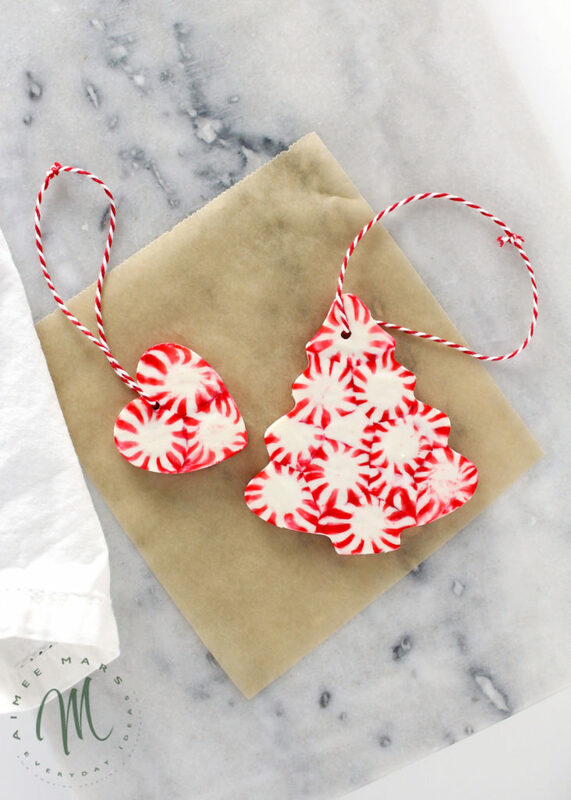 The peppermints will be shaped as cookies – grab the cookie cutters you have and shape your tasty ornaments/ tags. This is a perfect Christmas craft for your kids! 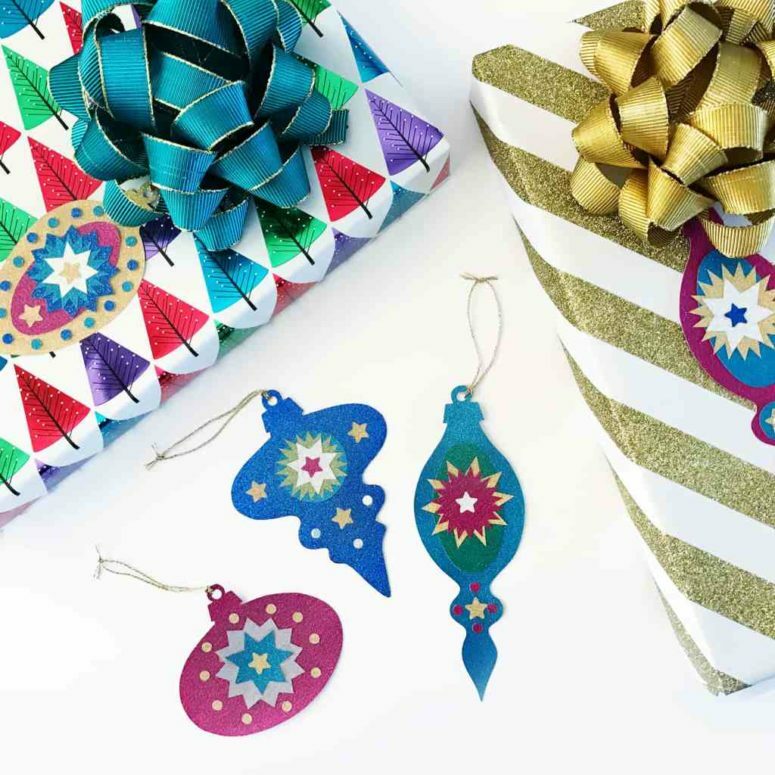 Make these Christmas gift tags of colorful paper and glue, and let your kids shape them as they like. Let them turn on their creativity and enjoy making these tags. So easily and so cute! Simple round card ornaments or just round cardboard circles can be turned into very cute Rudolph gift tags. 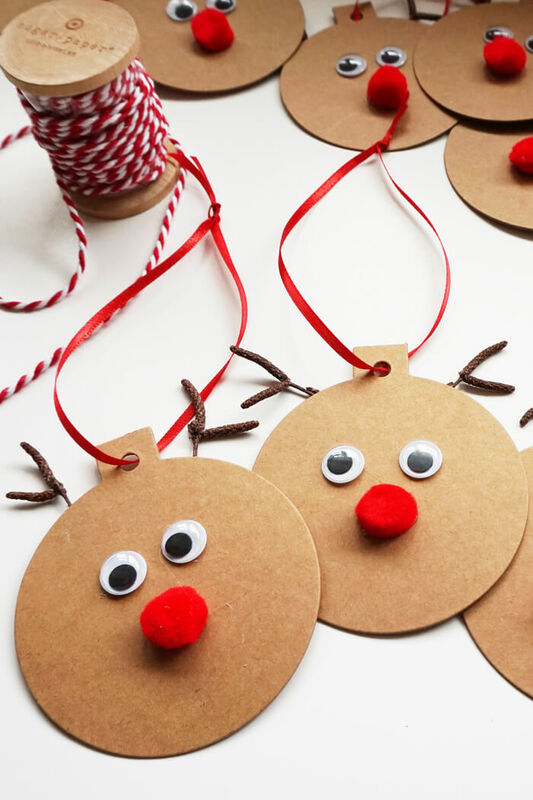 Give your kids these circles, googly eyes, red ribbon and pompoms in red and let them create these cute deer tags. What’s so great about chalkboards? They are creative, fun and you can change images and letters on chalkboards as often as you can. 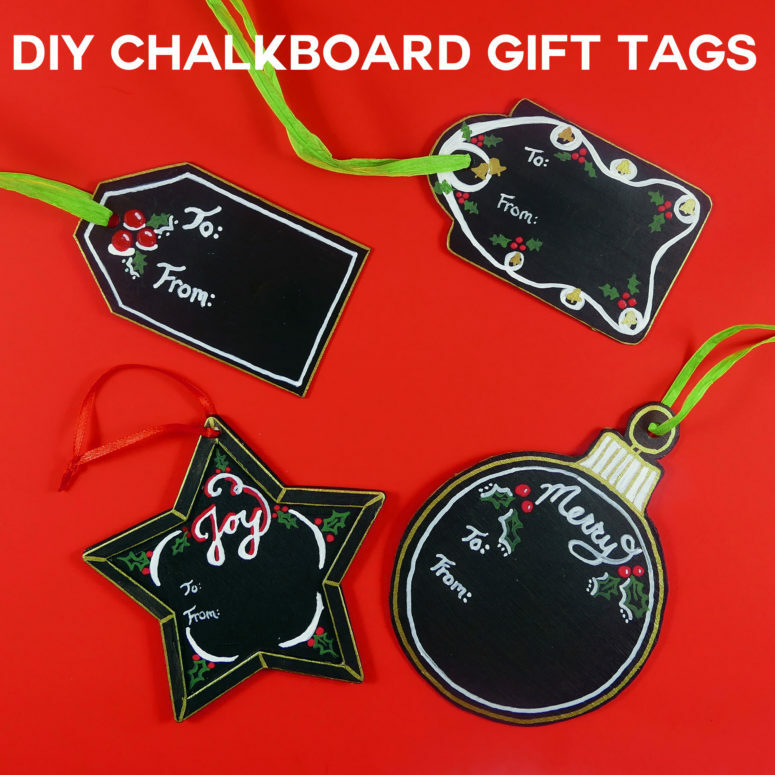 Make some Christmas-shaped tags like ornaments or gingerbread men and paint them with chalkboard paint, add touches that you like and then chalk your wishes on them. These chic Christmas gift tags are made using silhouette, they are made of cardboard in mint and with a cutting machine. 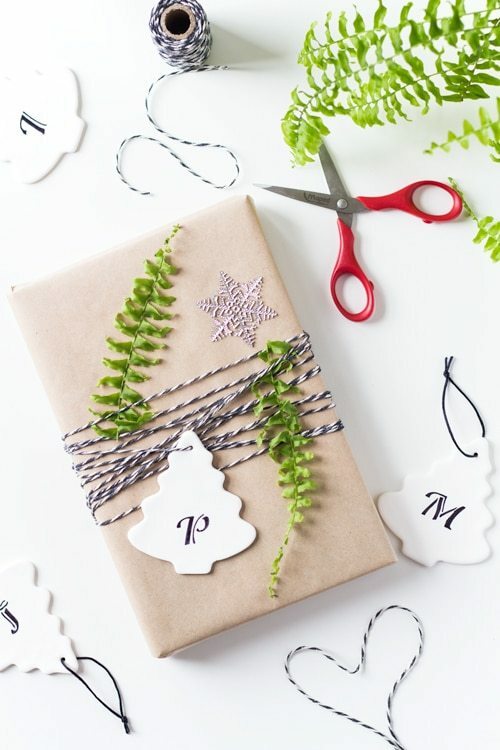 Add ribbon or thread and attach the tags to the gifts to make them more special. 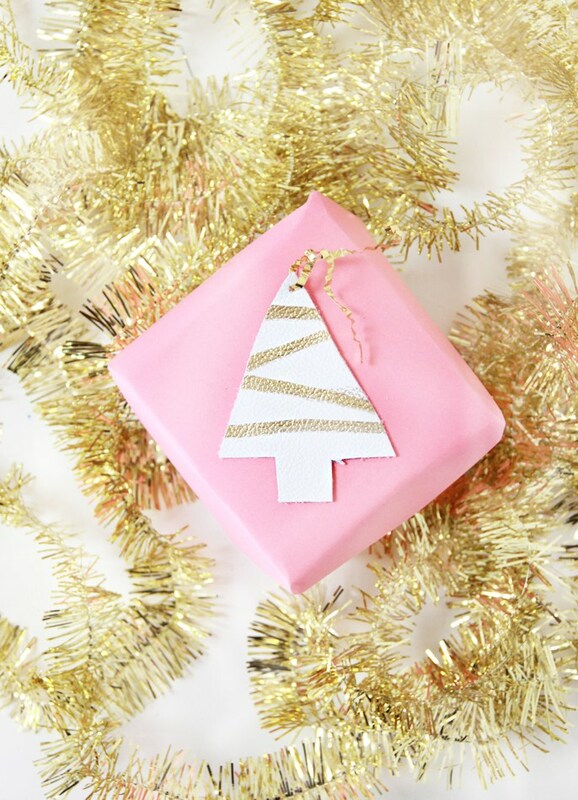 This stylish idea will fit any wrapping paper and is suitable for kids and adults. 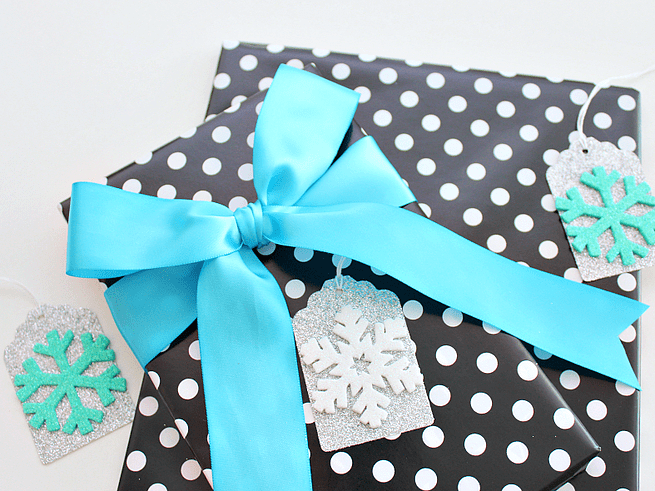 Gift tags shown in this tutorial scream winter holidays! 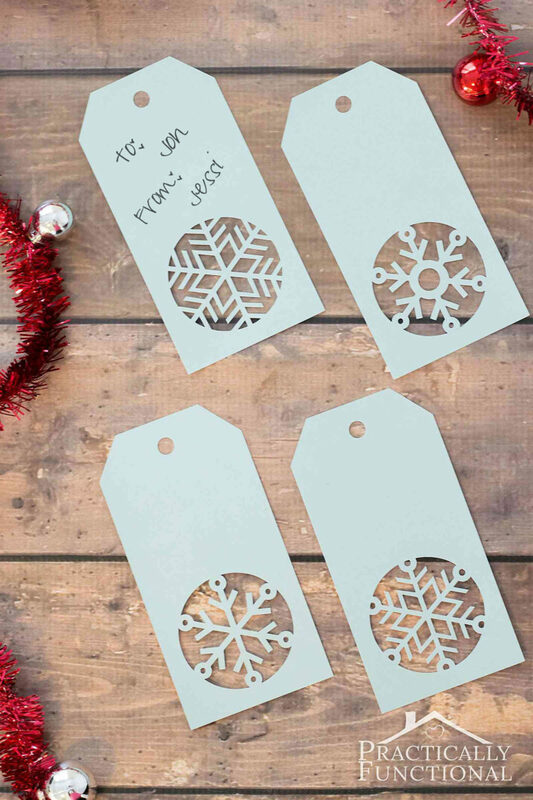 Glitter cardstock and foam snowflake stickers are what you need to create these cute 3D gift tags. Rock stickers in various colors to make the tags more personalized, and enjoy! Marble decor is very popular today, and you can incorporate it into your gift wrapping. Make these chic marbleized gift tags using nail polish – here it’s only black polish but you can make various colorful tags of all shades of nail polish. Enjoy! Polymer clay is a great material for making ornaments or gift tags. Make these cuties of polymer clay cutting various shapes with a cookie cutter that you have, let them dry and then add monograms according to the recipients of the gifts. If these are to be used as ornaments, no decor is needed, white clay looks very chic. 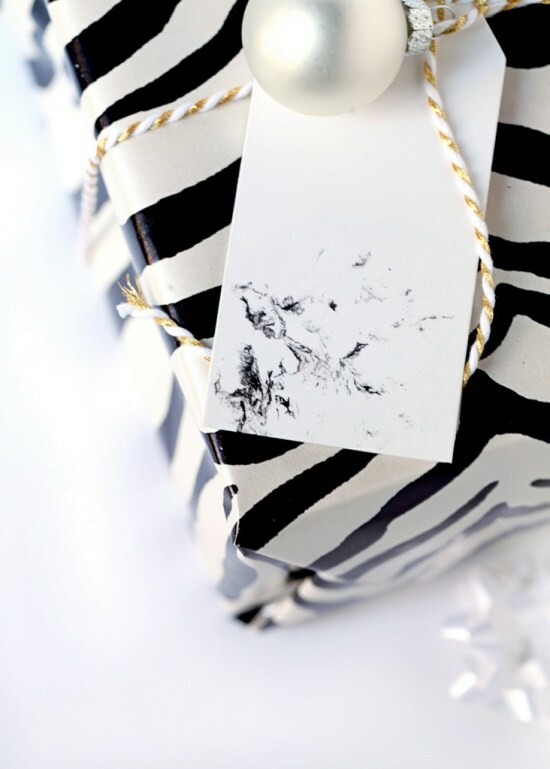 White leather is a chic material to make a gift tag, and I’m sure such a piece doesn’t need much decor for a cool look. The author of this tutorial will tell you how to make an awesome gift tag of white leather decorated with a gold leaf pen – looks very nice! 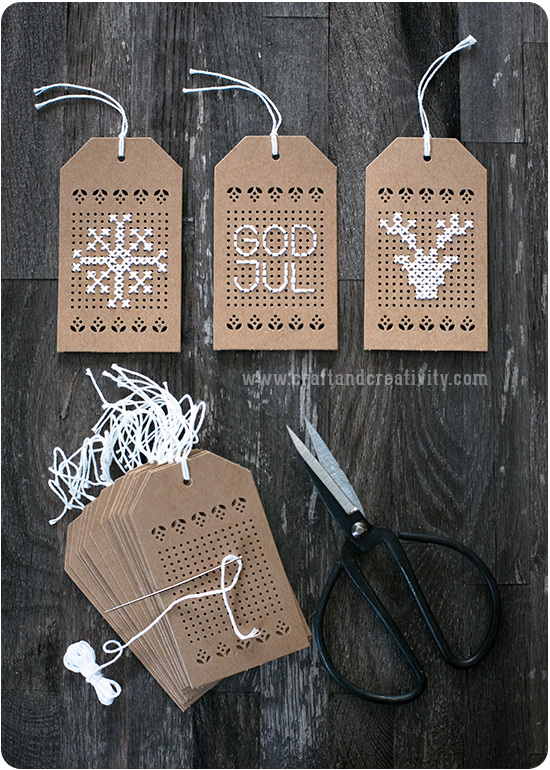 These tags look so Nordic and Scandinavian-like, I just can’t wait to share it with you! The idea is about cross-stitching various shapes with white yarn on cardboard gift tags. You can go for other shades of yarn and different shapes, not only a deer or a snowflake. Get inspired!